I have no hesitation in writing a reference for the team at Estbury Basements. We chose Estbury (after a beauty parade of 3-4 basement teams) because their quote was extremely competitive and their head of buildings operations, Danny Preater was in the business of underpinning for many years before he started with the company. When you are removing the foundations of your house from underneath you, it is a comfort to know that the person in charge of that process knows what he is doing. In addition, Estbury has a rather large presence where we live and it was comforting to know that they had been trusted to complete the dig outs of a number of different houses in the area. The foreman they employed on site had been with the firm for a number of years, appeared to be extremely competent and was only too happy to take us down on daily visits of the site so that we could monitor the process. Even with the additional oversite requirements, the team came in pretty much on time and on budget, which is a refreshing change to other building contractors we have had the pleasure of dealing with. I wouldn't necessarily say that biggest is best when it comes to deciding what basement company to use. We are just off Northcote Road (SW11) and are currently having our basement done by Estbury Basements who are a smaller company in comparison to some of them out there. The directors have a huge amount of experience with big companies but set up Estbury a four years ago and have gone from strength to strength through word of mouth and recommendations. From their initial visit, through construction and onto fit out (which is just starting now) they have been nothing short of fantastic. We met six other companies and immediately thought that Estbury were the ones for us. They weren't too technical, nothing was a problem and they just seemed like genuinely good guys to deal with. We had a look at four of their other sites and everyone was very complimentary about them too. You get the impression that as they have a huge amount of work within the area they can't afford to get a bad reputation and so all their workmen seem to be aware of this and so make a special effort to help with pushchairs, keep everything tidy and clean down at the end of each day. Yes it's a messy job but they all seem to do their best to make it as hassle free as possible. They are just genuine guys building a business and by our experience deserve every leg up they can get. With the cost of moving so high and stamp duty more and more people are extending their properties rather than moving. We find that many people looking for a basement are growing families that do not really want to leave a certain area due to schools, local amenities, & friends etc. 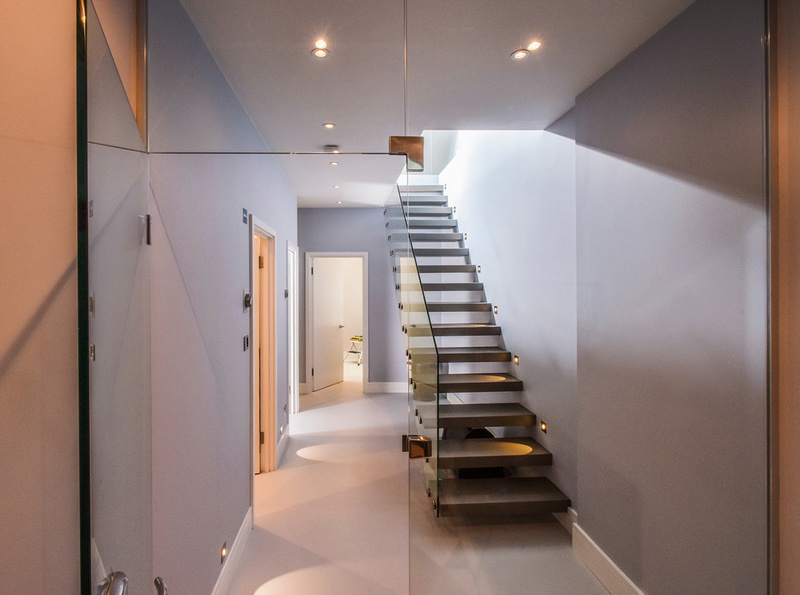 Many of their properties have already been extended to the maximum above ground so a basement is a great option to give them all the space they require without having to move. I first met the two directors of Estbury, Richard Peel and Danny Preater, in the summer of 2010, having had glowing referrals from local friends. Within a few weeks of our initial meeting, the digging out stage of my basement was well underway! It was immediately apparent, and has been the case throughout our basement conversion, that they offer a uniquely hands-on and personal approach to each job. Their approach is exactly what is required given the enormous and often daunting challenge of such a large scale building project. Danny's years of experience in underpinning, for example, is very comforting when the large scale evacuation of ground underneath the family home passes the point of no return! We really felt that they shared our vision and enthusiasm in extending our family home, and they made it a fun and positive experience for the whole family, small children included. As a result, it seemed to be very straightforward and logical to remain in the house throughout the job. Their team was incredibly hard working, personable and reliable, and were a pleasure to have around. The children, in particular, really missed the team at the end of the dig, and birthday presents and christmas presents were exchanged all round! Danny and Richard were in constant contact throughout the digging-out stage, and indeed have remained so during the fit-out stage. This approach has enabled a very flexible, friendly and trusting working relationship, which has removed any stress out of the project. We are absolutely delighted with our new basement, which has been expertly fitted-out to an incredibly high standard, and which will enable us to stay within the area which we love, in the house which we love, for many years to come. "It is not easy choosing a basement company… you need to place a large degree of trust in their abilities as we all value the structural integrity of our houses!! We would thoroughly recommend Estbury Basements – Danny and Richard make a great team. Danny is exceptional at understanding (and explaining!) the building process and keeps his team firmly on track, to time and budget. Richard ensures the customer experience runs very smoothly and is extremely helpful – even in areas which fall well outside their remit. 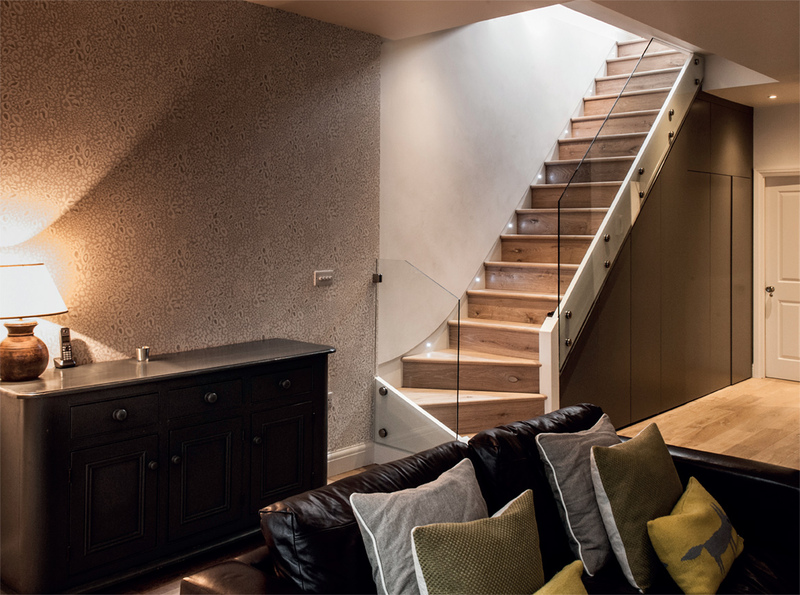 They (and their team) are a pleasure to work with and we would not hesitate to use them again for our next basement…if we can ever bring ourselves to leave this one"
"We chose Estbury based on the price and personal recommendations. The quote was the middle of the 3, and you never really want to go for the cheapest option as there will be loads of hidden extras. Danny and Richard tried to be as inclusive as possible in their quote, but also honest enough to say that there will be some hidden extras that no-one can account for at the outset. Personal recommendations are very important. The cost of moving is prohibitive within London, and you don't gain much space for the money you spend in prime areas. That is why the economics stack up for doing a basement." "This is a letter of referral in regards to having a basement built by Estbury Basements. We employed them in August 2010 and from the moment they started work until the day they completed they were a delight to deal with. I can't recommend them enough and would encourage anyone who was thinking of having a basement done to employ them. They made what could have been a rather stressful process enjoyable. Now the only question we ask is why we waited so long to do it! Our lives have changed."